Research published this week in Cell Reports highlights a powerful new data analysis tool that could vastly improve the interpretation of data gathered from epigenomic studies. The scientific team, led by UCL, have developed the eFORGE tool, which offers a new way to identify cell types that underlie complex human disease. The tool can enable researchers to draw more meaningful results from studies on cancer and other diseases, potentially speeding up the process of drug development. Identifying the underlying causes of complex human disease is of vital importance if we are ever to find effective treatments for the most pervasive and debilitating types of disease, such as cancer. Over the past decade, genomic sequencing studies have enabled a leap forward in our understanding of cancer initiation and progression. More recently, epigenomic studies have proven to be every bit as valuable to enhancing our understanding of disease. However, the sheer amount of data produced by both genomic and epigenomic studies present a challenge for researchers who are looking to draw meaningful conclusions from the information. This is especially true for cancer studies, which are often based on very large datasets. Scientists will increasingly need to use integrative analysis tools - and this is where eFORGE comes into play. “We developed eFORGE to advance the interpretation of Epigenome-Wide Association Studies (EWAS). These studies look at a biological process called DNA methylation to examine the association of epigenetic changes with disease states,” explains lead author Charles Breeze, PhD student at the UCL Cancer Institute and European Bioinformatics Institute (EMBL-EBI) alumnus. “One of the main advantages of eFORGE is that it looks at a wider range of information than was previously possible. Often, a large proportion of genomic regions is discarded from an EWAS during functional analysis. This is obviously a problem if the biological information you are gathering points towards the wrong cell ‘signals’, which is far more likely to happen if you are only using a small portion of your data. eFORGE analyses all regions, including intergenic regions that are rich in regulatory elements, to more accurately detect the cell types that are really relevant for the underlying disease,” says Mr Breeze. With commercial drug-development in mind, there is a cost-benefit to finding the correct cell types relating to a disease mechanism, as studying and targeting the wrong cell types based on inadequate interpretation of EWAS data can be an extremely costly exercise. Not only that, patients could also ultimately miss out on potentially beneficial therapies. “eFORGE typifies the power of integrative multi-omics analysis for the advancement of Precision Medicine,” says study Principal Investigator Professor Stephan Beck, Head of the Medical Genomics Research Group at UCL Cancer Institute and an ardent advocate for more open access data sharing. eFORGE was a collaborative effort between UCL, EMBL-EBI and multiple projects of the International Human Epigenome Consortium (IHEC), including BLUEPRINT, Roadmap Epigenomics and ENCODE. The project was supported by BLUEPRINT and EpiTrain with additional support from the Wellcome Trust, a Royal Society Wolfson Research Merit Award, and EPIGENESYS. 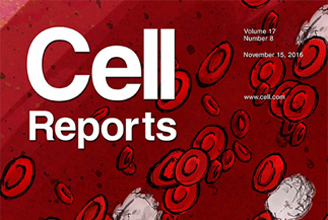 Image: Cover of Cell Reports. Image shows erythrocytes and leukocytes, highlighting CD4+ T cells, CD8+ T cells, and CD19+ B cells. European epigenomes research project, BLUEPRINT, today announced the release of a collection of 26 publications in Cell, Cell Press-associated and other high-impact journals Many key papers within the release are authored by Professor Stephan Beck and his scientific team from the Medical Genomics group at UCL Cancer Institute. An international research collaboration led by UCL scientists has developed ways to improve the quality and accuracy of information harvested from epigenome sequencing datasets in two new research papers published jointly in Nature Biotechnology and Nature Communications.